October 16th, 2017 by michelle blackwell | Comments Off on BC History Digitization Program accepting submissions for funding until December 11, 2017. Posted in B.C. 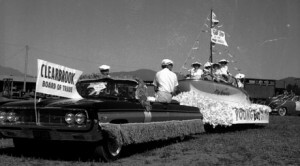 History Digitization Program, B.C. History Digitization Program (BCHDP), BC history, General | Comments Off on BC History Digitization Program accepting submissions for funding until December 11, 2017. 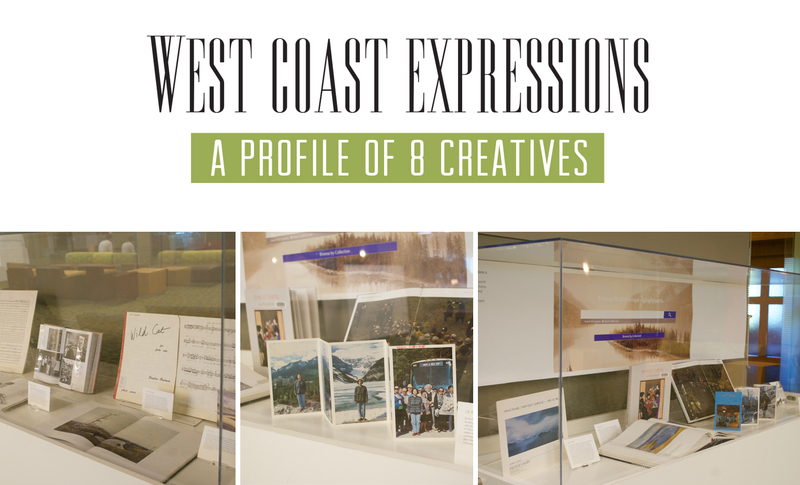 West Coast Expressions is a new exhibit on display at Irving K Barber Learning Centre. The exhibit highlights eight influential British Columbia creative icons, spanning fine art, architecture and music. West Coast Expressions was installed to coincide with BC Day on August 1st, with the purpose of highlighting items of note from the Music, Art and Architecture Library. These distinguished artists have made an enduring mark on our province’s culture, with artistic creations influenced by BC and Vancouver’s scenic landscape, historical events, and the social and cultural makeup of its population. Through this exhibition, we celebrate their individual and collective contributions to the art world from here at home. Explore the exhibit now until end of September. All items are available to UBC students, faculty and staff through UBC Collections. A captivating collection of projects highlighting the stories and histories of British Columbia will soon be available for online viewing, thanks to the B.C. History Digitization Program (BCHDP). The program, launched by the Irving K. Barber Learning Centre in 2006, provides matching grants to support projects that make B.C. heritage freely accessible to the public via the Internet. This year, about $200,000 in matching funds was allocated for 23 projects throughout the province. In total, the BCHDP has awarded more than $1.4 million for 167 grants over the past eight years. This year’s highlights include a project to digitize 15,300 photos and postcards from the Uno Langmann Family Collection of B.C. Photographs, dating from the 1850s to the 1950s. Uno and Dianne Langmann recently donated this exceptional collection to UBC Library. Meanwhile, the B.C. Dairy Historical Society will scan bound volumes of Butter-Fat, a magazine originally published by the the Fraser Valley Milk Producers’ Association. The effort covers issues published from 1923 to 1994 that chronicle the development of dairy history and pioneer families in British Columbia. Other efforts involve the digitization of more than 11,000 pages of hand-written Chinese language documents at Barkerville, the digital photography of nearly 2,500 fashion accessories at the Museum of Vancouver, the digitization of colonial despatches and provincial newspapers, and much more. For a map and comprehensive listing of 2014 projects, please visit the Learning Centre’s site. 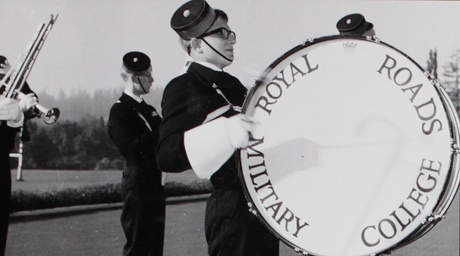 Top image from a Royal Roads Military College (RRMC) annual photo album; albums were digitized in 2013, thanks to a BDHDP grant and matching funds from the Royal Roads University Military Heritage Committee and the Friends of Hatley Park. For more, please view the albums online. More of British Columbia’s unique and storied past will soon be accessible online thanks to the latest funding round from the B.C. History Digitization Program (BCHDP). The program, launched by the Irving K. Barber Learning Centre in 2006, provides matching grants to support projects that make B.C. heritage freely accessible to the public via the Internet. This year, more than $203,000 in matching funds was allocated for 24 projects throughout the province. In total, the BCHDP has awarded more than $1.2 million for 144 grants over the past seven years. Newspapers across the province – ranging from titles in Prince George, Prince Rupert and Chilliwack to student publications at the British Columbia Institute of Technology and Trinity Western University – will be digitized as part of this latest round of projects. British Columbia Sessional Papers and City of Vancouver council minutes from the 1970s are also on the agenda, as are items from the Nikkei National Museum’s Japanese Canadian Redress Digitization Project, mountaineering photos from an alpine photographs collection at Simon Fraser University Library and negatives from the first 20 years of the Western Front, an artist-run centre in Vancouver. For more information and to view images of past projects, please visit the B.C. History Digitization Program.